Here is a 40 minute lecture which I gave recently on humour in the Book of Jonah. The powerpoint slides used during the presentation can be downloaded here. James McGrath has a great picture of Jonah on his blog, together with an interesting post about the identity of Sheol. I definitely agree that the book of Jonah should be read with a sense of humour! The cluster of unusual features which I’ve mentioned in previous posts suggests that what we have is a clever story which is not meant to be taken literally or even too seriously. The message of the Book of Jonah may be a serious one, but the intended message is not the folk-tale itself but the underlying point the writer is making in his comical portrayal of the prophet. It is almost certain that the story contains humour, irony, satire and parody. But would it be reasonable to categorise the whole book as satire or parody? 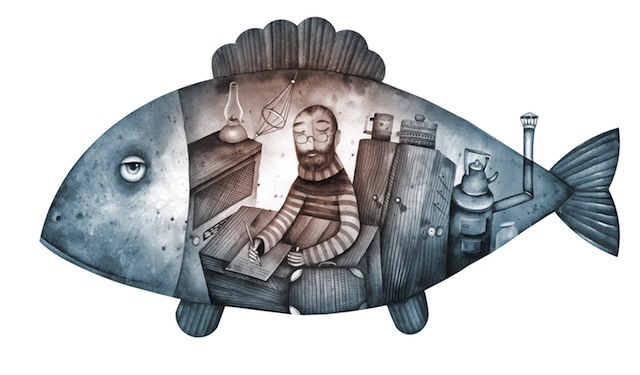 Some scholars lean toward a classification of the book of Jonah as satire . Marcus identifies the characteristics of satire and states that ‘a text may be identified as a satire if it has a target which is the object of attack, either directly or indirectly, and has a preponderance of the essential attributes of satire’, including a mixture of unbelievable elements, ironies, ridicule, parody, and rhetorical features. He argues that these elements must not simply be present in the text, but must dominate it and constitute the essence of the work. In the book of Jonah the prophet is made to appear ridiculous insofar as he acts in ways which are contrary to those expected of a prophet. For example, Jonah is told to rise up and preach but flees in disobedience to the commandment of God to go to Nineveh, beginning a series of descents ; during the storm Jonah sleeps while the pagan sailors acknowledge the God of Israel; and he is upset over the repentance of the Ninevites which spares the city from destruction, but grieves for the demise of a plant. Nogalski concludes from this behaviour that ‘The portrayal of Jonah deliberately inverts the typical expected obedience of a prophet.’  Feinberg emphasises the hyperbolic quality of satire and notes that satire is a ‘playfully critical distortion of the familiar’  Frye argues that there are two essentials to satire: first, that the wit and humour are founded on fantasy or on a sense of the grotesque or absurd; and second, that there is an object of the attack . I have demonstrated in earlier posts how Jonah meets these criteria. The similarities with the Jason legend, while impressive, are probably insufficient to conclude that the book of Jonah is mimicking the genre of Greek epic literature. Nor do the Greeks appear to be the primary target. The suggestion that the book of Jonah is a parody relies on the existence of the other Biblical prophetic books and the prophets which it mimics. We also need to determine what purpose satire or parody would achieve in this context, and identify the target of the parody. There are several possible targets. 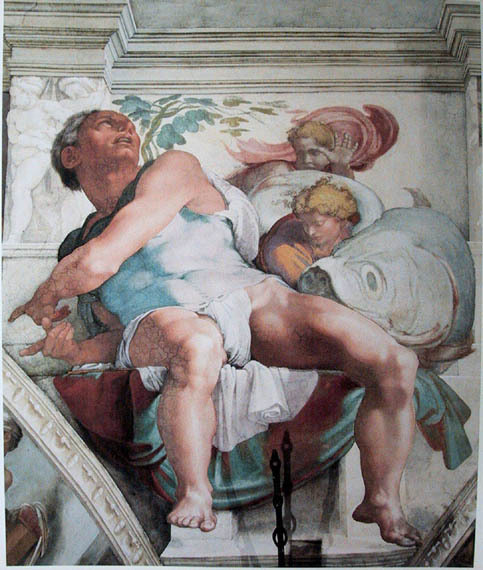 Jonah is portrayed as weak, hypocritical, and a kind of anti-hero. Possibly, as Marcus notes, beneath these satires ‘there lies the unspoken wish of what the proper behavior [of a prophet] should be’. Perhaps then the book is an anti-prophetic satire aimed at prophets in general; but what role would such a parody play as part of The Book of the Twelve? Alternatively, the narrator may be targeting his Jewish readers and their exclusivist attitudes , perhaps as a polemic against the exclusivism of Ezra and Nehemiah. Allen prefers the view that the book of Jonah may have been authored by the wisdom teachers ‘who challenged self-righteous Israel with the devastating book of Job’ and similarly perhaps ‘produced the little book of Jonah as another shock for a self-centred community’. Another possibility is that the book of Jonah parodies the prophet in an effort to raise questions about the rival claims of justice and mercy and Israel’s relationship to God. In my view, the book of Jonah is possibly one of the best examples of humour and comic in the Hebrew Bible, containing a cluster of elements including irony, satire, surrealism, and parody. While parodying Hellenistic legends, or at least drawing on this genre for inspiration, the primary target of the book is either the hypocrisy of some prophets, or, more likely, the self-centred and exclusivist theology of the post-exilic period. Including Holbert [Holbert, J., “Deliverance Belongs to Yahweh!”: Satire in the Book of Jonah, Journal for the Study of the Old Testament 21 (1981): 59-81] and Marcus [Marcus, D., “From Balaam to Jonah – Anti-prophetic Satire in the Hebrew Bible” Brown Judaic Studies 301 (Atlanta: Scholars Press) 1995]. Jonah first ‘went down (ירד) to Joppa’ (1:3), then we find he ‘had gone down (ירד) into the hold of the vessel’ (1:5), and eventually he ‘sank (ירד) to the base of the mountains’ (2:6). Redditt, P., Introduction to the Prophets (Grand Rapids: William B. Eerdmans) 2008, 262 ‘The narrator satirizes his hero to expose the moral failure of his readers, who themselves held exclusivist sentiments’. Simundsen [Simundson, D. J., Hosea Joel Amos Obadiah Jonah Micah (Nashville: Abingdon Press) 2005 pp253-262, 260] and Allen (1976) 188 both mention the anti-Ezra/Nehemiah interpretation but say it has fallen into disfavour. Young, I., The Alan Crown lecture: “What Use is Nahum?” 17 May 2011, Mandelbaum House, University of Sydney (not published). I mentioned earlier that word play is common in the Book of Jonah, and gave an example from the opening verses where Jonah is commissioned to “rise” and go to Nineveh, but instead he “rises” and goes to Tarshish. A series of descents then commence: Jonah first ‘went down (ירד) to Joppa’ (1:3), then we find he ‘had gone down (ירד) into the hold of the vessel’ (1:5), and eventually he ‘sank (ירד) to the base of the mountains’ (2:6). There appears to be further word play on Jonah’s name, which means ‘dove’. There is an irony here as the prophet turns out to be ‘flighty’. Gildas Hamel has also pointed out the similarities between Ionas, the Greek form of the Hebrew name יונה Yonah, and Iason the Greek form of Jason, and suggested, due to the preponderance of similarities between the Jonah story and the Jason myth, that the author of Jonah plays with one of the variants of the story of Jason. The Jason motif occurs in the Mediterranean region from as early as the eighth century BCE and was widespread in literature by the fifth century BCE. Hamel lists several parallel motifs in both stories: ‘the names of the heroes, the presence of a dove, the idea of ‘fleeing’ like the wind and causing a storm, the attitude of the sailors, the presence of a sea-monster or dragon threatening the hero or swallowing him, and the form and meaning of the difficult word kikayon.’. The Hebrew word kikayon קיקיון is a famous hapax legomenon in Jonah 4:6ff referring to a fast-growing plant, which later tradition identifies with a type of gourd or ricinus communis, the castor oil plant. This word sounds very much like the kukeon or kukaon in the Jason legend, a brew made of medicinal and dangerous plants, prepared by Medea. The similarity in names could be the result of the plant species in the Jonah story being one of the principal pharmacological plants used in the brew in the Jason story, or a deliberate allusion by the author of Jonah to the Jason story. Jonah goes to sleep under his קיקיון; Medea uses the kukeon brew to put the serpent or dragon to sleep. Jonah’s plant also purges him of his anger, in a possible play on the emetic effects of the ricinus plant. If so, it also creates an interesting parallel with the fish ‘vomiting’ Jonah. In one version of the Jason story the hero is vomited out of the mouth of a sea monster. ‘The creator of Jonah appears to be playing in a very conscious manner with some of the elements and motifs of the Greek story, inverting some, laminating others, or fusing them with Hebrew themes on the basis of linguistic or structural similarities’.